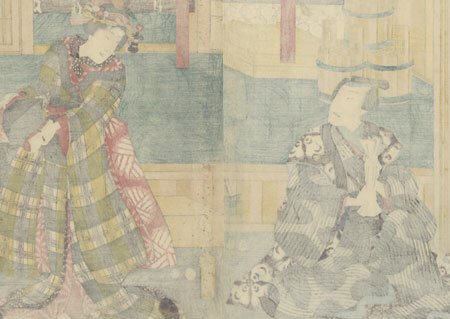 Comments - Interesting kabuki scene of a young couple in front of a house or shop. The beauty smiles sweetly as she looks back at her companion, carrying two pillows as she prepares to retire for the evening. He stares back at her haughtily as he twists a white cloth between his hands. 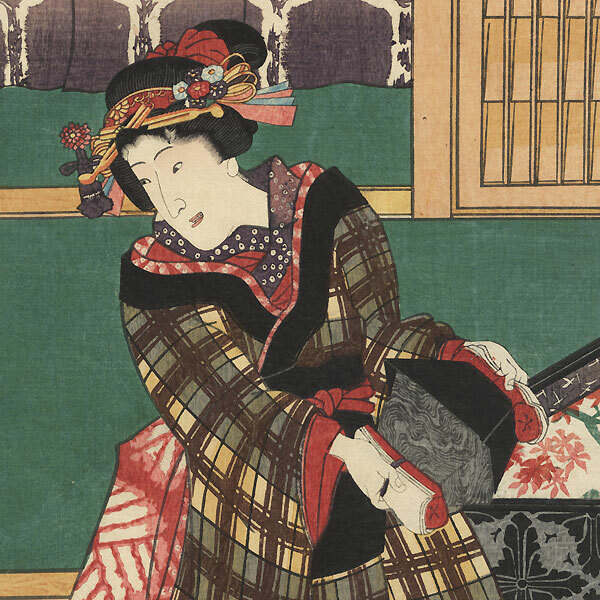 She wears a black kimono over a red under robe, tied with a black obi that reverses to a red tie-dyed design, her hair pulled into a smooth bun adorned with a red lacquer comb, ribbons, and floral ornaments. 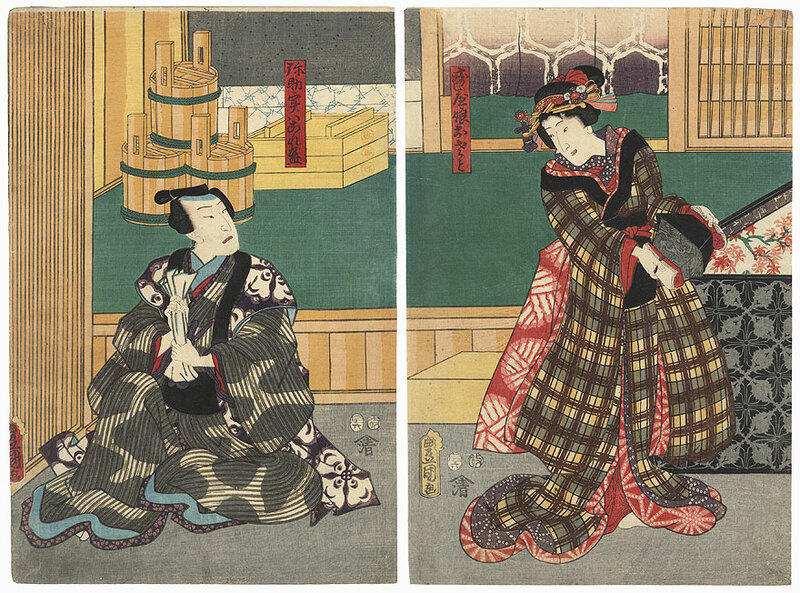 At upper left, wooden buckets are stacked in the corner of the room and curtains hang in the doorway. A nicely detailed design with expressive figures. Condition - This print with excellent color and detail as shown. Two separate panels. A few wormholes, repaired. Slight soiling, a few creases and small marks. Please see photos for details. Good overall.